5th Avenue Chiropractic (New York) - Book Appointment Online! Dr. Pressman has been a Chiropractor for 20 years. He provides advanced spinal correction that specializes in all aspects of spinal care. This includes back and neck pain, numbness and tingling in arms and legs, headaches, stress and tension relief, posture correction, and sports injuries. His goal is to identify the source of your spinal, muscular and/or nerve involvement that is causing your issues and to then treat that cause with a combination of physical therapy, massage and chiropractic adjustments. 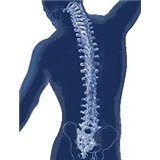 By treating the structural issues of the spine along with the soft tissue that surrounds it, he help his patients decrease pain and make long term changes to prevent symptoms from returning. Dr. Pressman wants you to increase your overall health and well-being. Call today to make an appointment for an exam and consultation to start you on the road back to health. I always feel better after leaving Dr Pressman’s office. You get great care in very welcoming environment . Book your appointment today! I hurt my back during a yoga class and i went to see Dr. Schtierman 2 days later. Having never been to a chiropractor i didnt know what to expect but Dr. Schtierman explained to me why i was having the pain and how he was going to help me. His beside manner is very professional and i felt less pain after each treatment. After 2 sessions i am almost back to normal. I highly recommend Dr. Schtierman and team.